If you’re thinking of proposing around the holidays, it’s time to get those plans in action. And that means creating or buying that perfect ring. We love themed rings for holiday proposals, and we also love festive proposals. But don’t get too Santa-themed around this time of year; when we talk festive proposals, they should be romantic, too. Not corny! When you’re brainstorming the perfect bended-knee holiday enchantment, we have a few ideas stashed under our tree just for you! Here are our top 5 holiday proposals…and a ring design to match each one! Pick your favorite idea, and customize the ring and the proposal to best display your love. 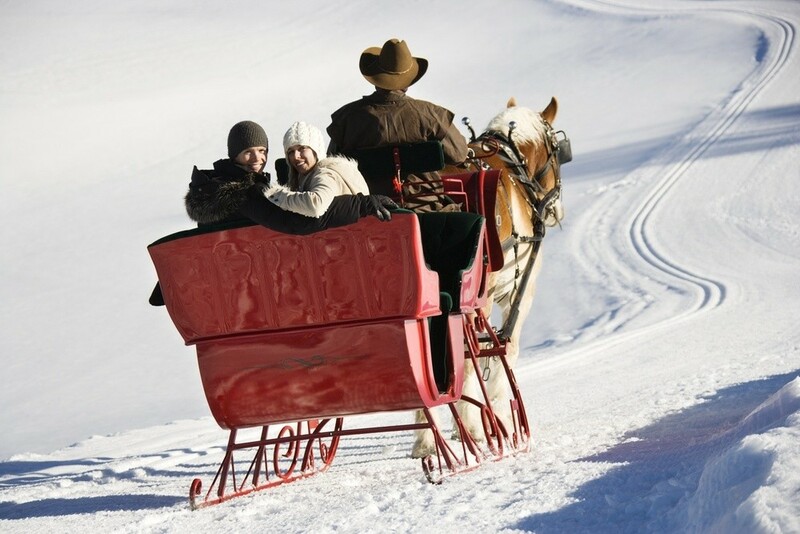 Taking a horse-driven sleigh ride through the snow is Christmas card perfection. Be sure to pack a heavy blanket (bonus points for heavy velvet) and of course, the ring! While champagne is romantic, spiked spiced cider is warm and festive. For some couples, a late-night Christmas Eve church service is part of the holiday tradition…and the Christmas spirit. If your faith is integral in your relationship, a quiet proposal after a church service may be the perfect way to begin your forever. The Ring: Integrate your faith into the ring with a Biblical inscription within the ring…inside or out. 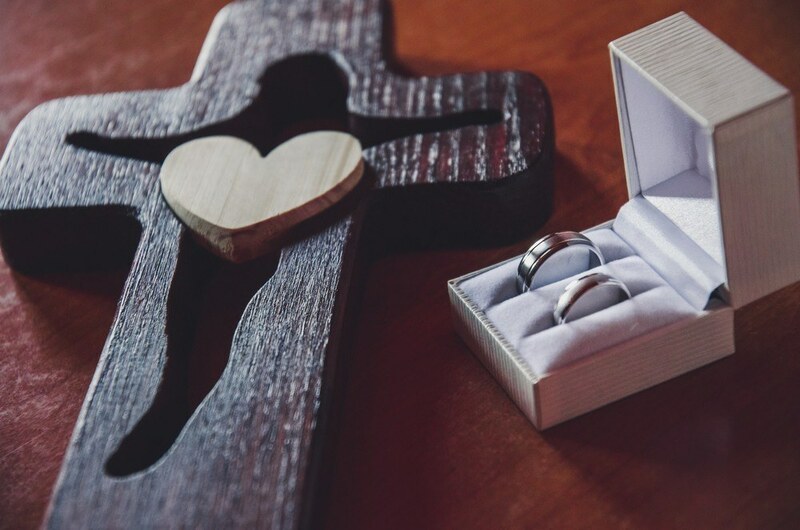 Some couples even include a cross within an engagement ring setting. 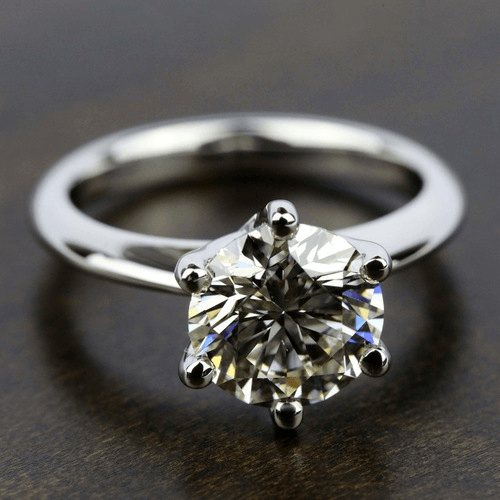 Remember, an engagement ring is symbolic of your love and your relationship. Hanukkah proposals can be so much fun! Plan a week of themed gifts based around your relationship. On the 8th night of Hanukkah, plan to present the final gift…the ring! The Ring: Integrate blue into your ring with sapphire, aquamarine, or blue topaz as a nod to the proposal and Hanukkah. 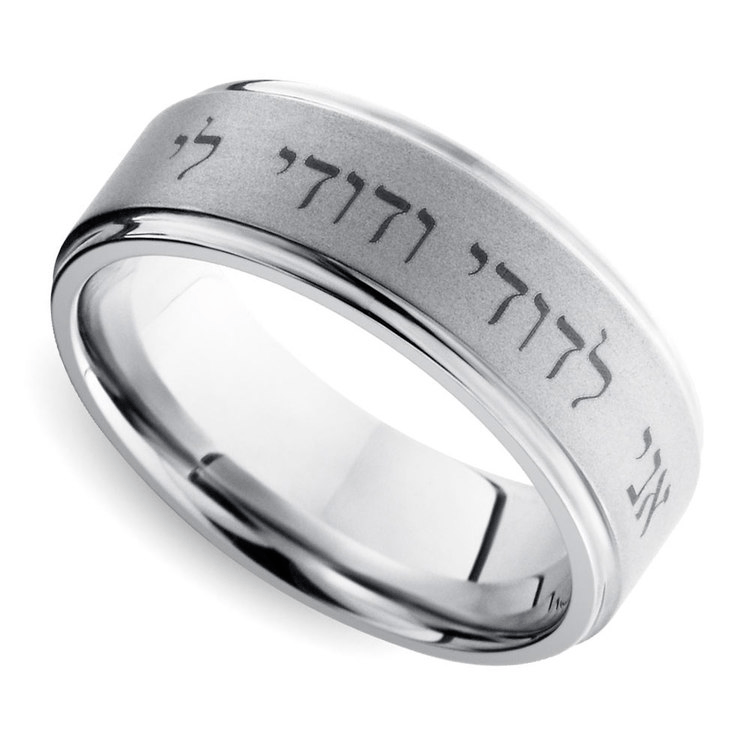 Hebrew inscriptions also hold personal meaning for a customized engagement ring design. One of the most classic Christmas proposals is the proposal by the tree. 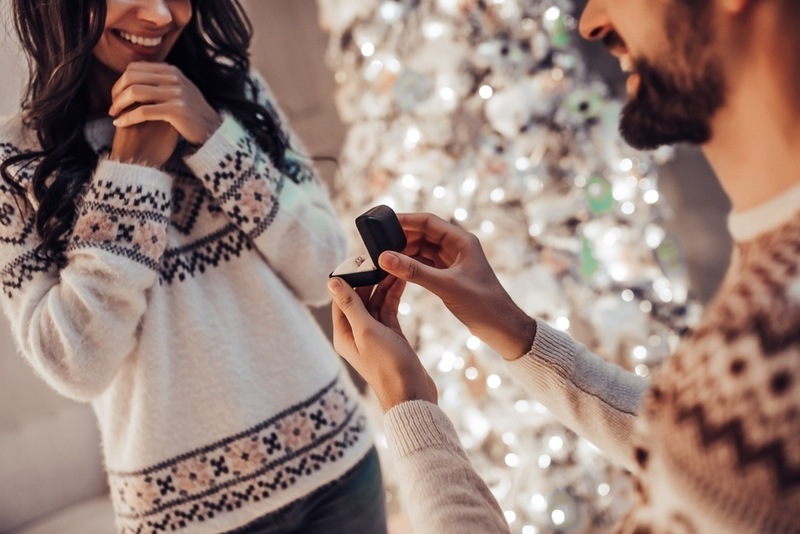 A surprise engagement makes an amazing Christmas present, but you need to figure out if the proposal will be private or among family. Some couples want the proposal to be incredibly private, while others want the family involved. The Ring: You don’t have to make the ring festive for the holiday (unless you want to!). However, we love inscriptions within the ring that marks the proposal date. Commemorate the holiday with your engagement date inscribed in the band of the ring. Holidays don’t just mean the gift-giving holidays. 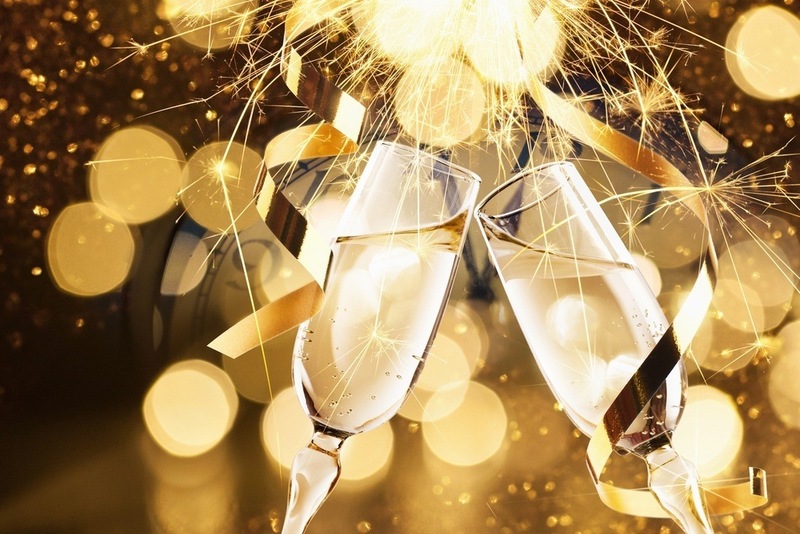 New Year’s Eve is an incredibly popular time for proposals. And with good reason. We cannot think of a more romantic way to begin a new year! Of course, you should propose when the clock strikes midnight! Just be careful when proposing in large outdoor celebrations; the crowds can become chaotic, and that ring could take a tumble. And don’t forget the bubbly! The Ring: Start the New Year with a bang and present an amazing solitaire diamond on platinum! 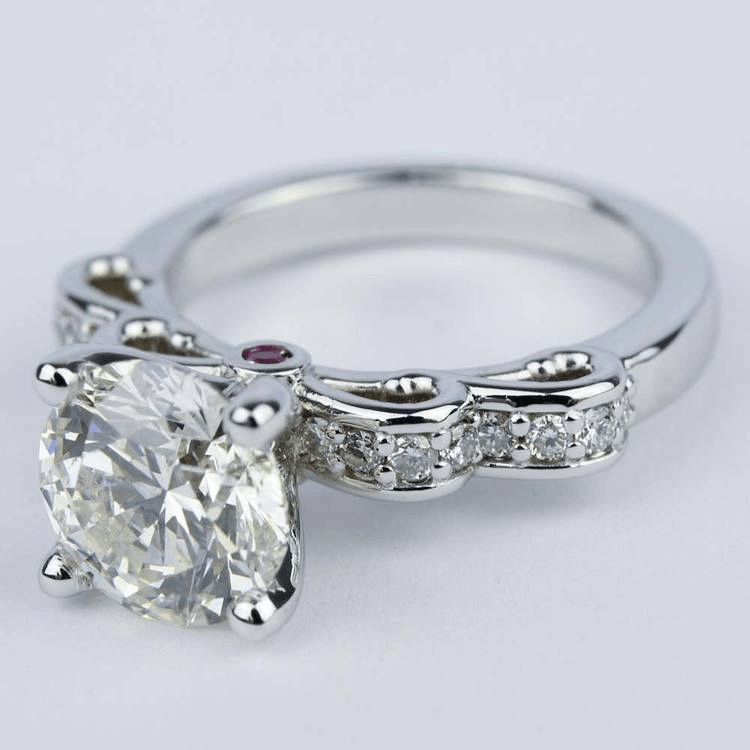 We love classic settings and stately solitaire diamonds! December is the most popular time for engagements. There are only a few weeks before the holidays, so you better start planning now, and that means shopping for the dream ring! A proposal will be remembered forever, so make the moment truly unforgettable—and filled with holiday magic!